Love is in the air on OWN. Recently, OWN and a member of the cast of If Loving You is Wrong announced the TV show will return for a fourth season this month. Although OWN has not announced a release date, If Loving You is Wrong star Aiden Turner said on Twitter that season four will debut on January 9th. *See update below. You might take the return date with a little skepticism since OWN hasn’t announced the date and it’s just a week away. However, we do know that season four has been shot and Turner has indicated that there will be 20 episodes. 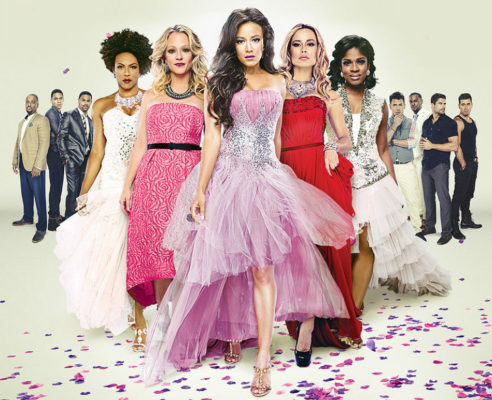 Get ready, #IfLovingYouIsWrong is back January 9! And oh it’s going to be good…. What do you think? Do you watch If Loving You is Wrong? Are you excited for the new season? Do you think it will actually return on January 9th? *Update: OWN has released their schedule for January 9th and, as suspected, If Loving You Is Wrong is not on it. We later learned that the series will return February 27, 2019. Love this show. Is season 4 here yet??? I do love this show, not only for the storyline but also to look at the beautiful cast members. I am very happy it is returning. Love this show and Can’t wait for its return! Love this show!!!! Can’t wait for its return!! Hi everyone, If loving you is wrong is one of my best series. Since the last episode behide enemies ling, i have been waiting and waiting. But now i cant wait any more. Please if anyone cane tell me if the show has started because i could not get any for me to download. I will be very appreciate if you could send me a good site for me to get it, so i could download it. Thanks very much..I really miss that show. Late February it says! Yay!!!!! Please hurry with the release date! I’m in agony waiting for the return! When is the show coming back? Our house is on pins and needles waiting for the return of one of our favorite shows.